Google Ads (formerly AdWords) is Google’s main online advertising platform, enabling you to promote your brand’s products and services through both Google owned properties and its partner sites, including but not limited to: YouTube, Amazon and more than 170k websites which use Google Custom Search, like The Guardian, The New York Times & W3Schools. As things stand, not only does Google command more than a 75% market share globally, it also has the most comprehensive paid search offering (though Bing is closing the gap). As a result, you can serve more types of ad, with more functionality, to more users than with any other paid search platform. The last of the big three to found an ad platform for paid search, Microsoft’s Bing Ads was introduced in 2006 (as Microsoft AdCenter). While it has lagged behind in both market share and offering for more than a decade, investment in Bing has increased a lot, and with it has come a surge of improvements across both the Bing search engine and its ad platform which now matches Google Ads like for like for most of its competitors offering, it also has the advantage for B2B brands of being able to target LinkedIn. Bing Ads offers businesses the opportunity to advertise across the Bing Network, which includes DuckDuckGo, the Wall Street Journal, Gumtree and many more. 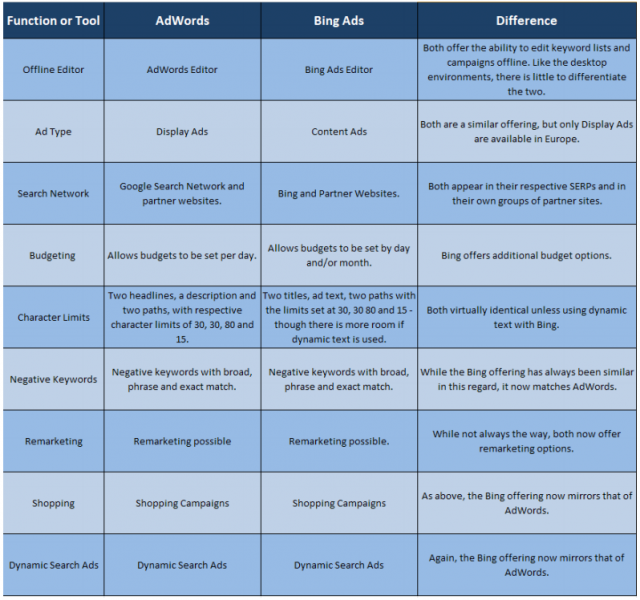 Bing’s PPC platform is similar to Google’s, in that you are only charged for an ad when a prospect or customer clicks on it. What may surprise some, however, is that a campaign which is duplicated directly – imported from Google Ads onto Bing Ads – will typically deliver the same or an even better ROI, though with only 10% of the volume. However, while the market share of Bing in the UK is small, its share in the US and some other countries is much larger and, as such, Bing should never be overlooked when planning an international paid strategy. Launched in February of 2017, Yahoo Gemini is a native advertising platform which, like Google Ads, offers both search and display advertising options. 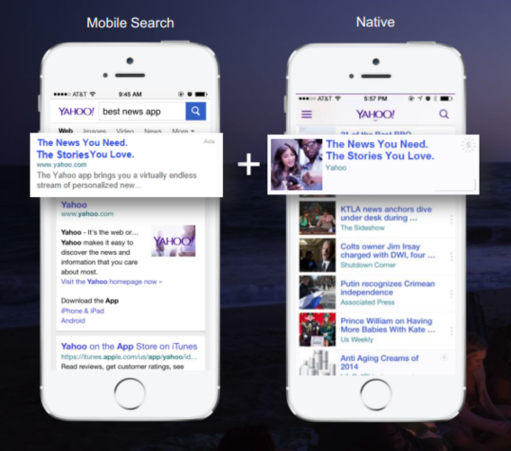 Yahoo Gemini is the platform that powers native ads and sponsored brand content, delivering relevant paid content to Yahoo’s 400 million monthly users. While still in its infancy, relative to the other major platforms, the lack of competition can make Yahoo Gemini a cost effective addition to your strategy. In addition, native advertising is an increasingly popular method of reaching users by displaying ads along with editorial content – like a paid version of content marketing. Beginning with simple banner ads on the Facebook platform back in 2004, social media advertising – or ‘Paid Social’ – has developed enormously in the intervening years, with paid options now available on Pinterest, Instagram, Twitter, Snapchat, Facebook, Qora and more. These range from sponsored tweets to shop now ads and have enabled brands to reach huge audiences while delivering healthy ROI. Paid social spend is on track to reach almost £60 billion by 2020 (according to industry forecaster Zenith) and the reason for that is that may have something to do with the fact that revenue is set to increase 10.5% annually, but it is also due to statistics like those coming from PwC’s ‘Total Retail 2017’ survey – which found that almost 60% of consumers use social media as a source of inspiration for purchases – and Adobe Analytics – which found that social media ads drive three times more new consumers than existing consumers to websites in 2018.